Circos can be used to turn tables into images. Transform boring tables into informative and visually compelling datagraphics! And, do so quickly with the online version of Circos. In this approach, the table's columns and rows are represented by segments around the circle. Individual cells are shown as ribbons, which connect the corresponding row and column segments (more details). 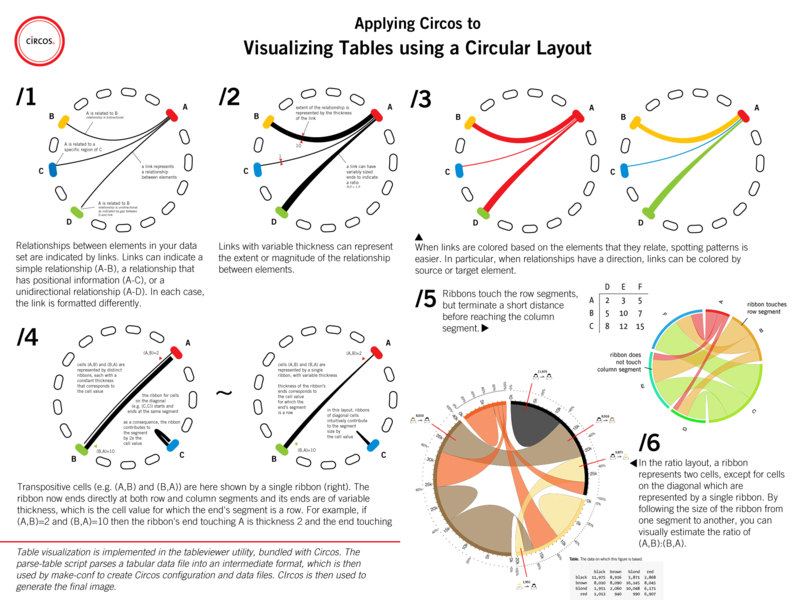 ▴ Circos can be used to generate circular layouts of tabular data. This approach is implemented in the tableviewer utility, which is bundled with Circos. (zoom).